The rise of organized crime in the decades surrounding Prohibition was bloody, violent, and full of murders. 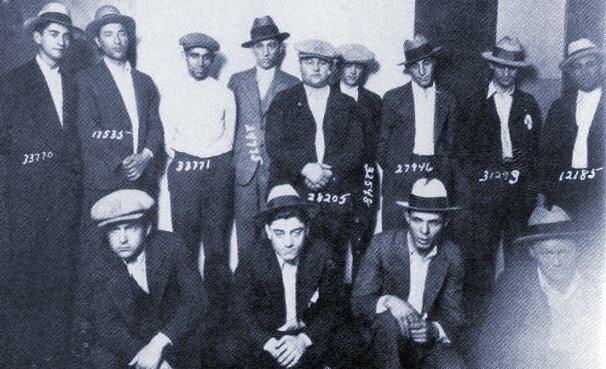 However, while you've probably heard about some of the most gruesome mob hits, you might actually be surprised by some of the crazy things gangsters killed over. Reasons gangsters killed ranged from territory disputes to revenge, and some mafia hit men claimed to have killed upwards of 100 people! Of course, there are many ways to make a mobster mad that don't have to do strictly with business. From poor service to saying the wrong thing, there are many times throughout history that gangsters killed for seemingly menial reasons. As far as reasons mobsters killed go, many of these hits were outside the normal rules. Mob members tended to only kill each other, and they had a pretty strict killing code that they stuck to. Some hit men and mobsters had hair triggers, however, and would lash out at unexpected times. Murderous gangsters of the '30s and '40s were particularly susceptible to this, and that's where one can see the most civilian killings. Although almost a century has passed since some of these killings happened, that doesn't stop them from remaining disturbingly fascinating. Plus, it just goes to show, you never know what will set off the mafia. There are a few things about Abe Reles that sound pretty okay. He never touched a drop of alcohol, even though there was bootlegging all around him. His first crime was simply stealing $2 worth of gum. He even helped out the government with a few crimes later in his life. Of course, he also killed people with an ice pick, was an active part of the notorious Murder Inc, and had one of the worst tempers ever known to humankind. He was erratic, vengeful, and could be ruthless to just about anyone that set him off, leading to his nickname "Kid Twist." When someone hurt his girlfriend, he shot them in the middle of the street, point blank in the face. But more tellingly, Abe once killed a parking attendant just because he was annoyed. According to legend, the attendant did not get his car fast enough, so Abe killed him on the spot. In other words, it was probably safer to not even look at this guy. When Al Capone was in business, he was many things. He was a crime lord, a killer, a bootlegger, and he was even involved in the prostitution game. He was also very sensitive to being called names, even if those names were accurate. One person who found this out the hard way was Joseph L. Howard, also called Ragtime Joe. According to the stories, Joe got into a little altercation with one of Capone's men, and later on, Capone came back with his men, asking for an apology. In a fit of brilliance, Joe decided that the best course of action was to hurl insults instead of saying sorry. He called Capone a "Pimp," and even though Capone was technically a pimp, he certainly did not like being referred to as one. He responded as anyone would: by pumping Joe full of bullets. Capone never did any time for this act, as no one could ever prove he did it. Having a beautiful wife is generally a good thing... unless, of course, a notorious gangster takes a shine to them. Such was the case of Gerard Vernotico, who supposedly had a very pretty wife, with whom he was quite happy. Then, in 1931, the wife of famed killer Vito Genovese passed away of tuberculosis, and he began looking for a replacement. His eyes fell on Anna, Gerard's wife, and he announced that he was going to marry her. She was already married, but he seemed not to care and announced his intentions anyway. Gerard was obviously not happy about this, but it didn't seem to do him much good. In 1932, Gerard was found strangled to death on a rooftop. Less than two weeks later, Vito married Anna, just as he'd promised he would (even though Anna was his cousin)! Usually, the mafia was pretty good about who they killed and how they covered their tracks, but they did occasionally make mistakes. The mistaken identity of Irving Penn happened to be one mistake so absurd that it cost them dearly. Murder Inc was at the top of its killing game in the '30s, and in 1939, they were hired to kill Philip Orlovsky. Orlovsky had turned informant on his men, and he was marked for death. The well-trained assassins staked out his apartment, watched for him closely, and when they saw him leave his house, they followed behind and then shot him repeatedly in the back before speeding off in their car. There was only one problem with this: it wasn't Philip Orlovsky. Instead, they'd gunned down one of Orlovsky's neighbors, Irving Penn, a harmless family man who published classical music and had two young daughters. Apparently the men looked sort of similar, so it was an easy mistake... except that Penn was 75 pounds heavier than Orlovsky and wore glasses, so it's hard to imagine how similar they could have looked! This stunning mistake led to police investigations that spelled the end of Murder Inc's reign.